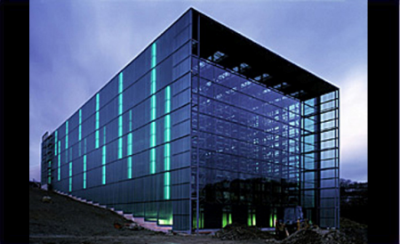 Industrial buildings such as factories, energy-producing facilities and manufacturing centers and office buildings require lighting that is able to withstand extreme temperatures and humidity and are both shatter resistant and environmentally sound. EncapSulite offers industrial lighting fixtures and systems worldwide to provide everything you need in safe, efficient lighting fixtures. EncapSulite’s Gold Fluorescent Lighting is ideal for UV sensitive environments, including shatter resistant industrial lighting. Crack, peel, and flake-resistant coatings provide excellent mechanical strength and safety. EncapSulite’s Waterguard Plus Lighting Fixtures are featured in numerous industrial settings, such as: product inspection areas, food production plants, parking garages, seacoast facilities, water treatment plants, and corrosive areas. EncapSulite's waterproof lighting is cost effective, energy-efficient, and constructed with state of the art technology. To meet the specific safety and lighting needs of industrial lighting applications, EncapSulite offers Flourescent Tubeguard Safety Sleeves. These lighting tube safety sleeves increase the life of fluorescent tube lighting and protect personnel and product from injury and contamination from broken tubes. In the event of breakage, these safety sleeves contain the shattered glass fragments and phosphors. We are also a global leader in providing reliable safety lighting, offering a wide selection of safety coated HID (High Intensity Discharge) lamps, metal halide, PAR lamps and incandescent lamps which will retain the glass fragments in the event of breakage. EncapSulite International bases its success on Product Innovation, Quality Control, Reliability, the Highest Level of Customer Service, and Availability of Inventory for Rapid Shipment. Learn more about industrial lighting applications from EncapSulite! Request a quote or contact EncapSulite today for your Industrial, Decorative, and Commercial Lighting Services.